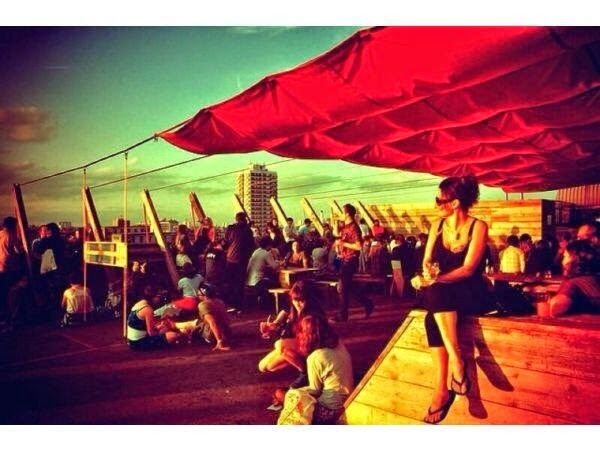 It must be summer - Frank's Cafe & Campari Bar is re-opening in Peckham! Now part of a tradition, the structure built on top of the multi storey car park provides both excellent food, drink and views. It's open from Friday 6th June (last year it didn't open until 30th June), and will run from Tuesday - Sunday until September. Head chef this year is Amir Pem, a Peckham local with lots of experience in kitchens around the world. "Head chef Amir Pem is leading the kitchen team at franks this year. Amir has 15 years of culinary experience in high end kitchens around the globe, and is a Peckham local having grown up in the neighbourhood. PLEASE NOTE WE WILL BE TAKING RESTAURANT BOOKINGS FOR GROUPS OVER 8 PEOPLE OR MORE (MAXIMUM 16 PEOPLE)"